December seems to be vanishing into thin air just the way I had imagined. I can already visualize 2017 hiding around the block ready to jump out and startle me. Year-ends make me nervous and excited at the same time. I wait with child-like enthusiasm for the New Year to begin but there's also an unmistakable feeling of anxiousness, like butterflies in the stomach. On the one hand, it's a fresh slate, a chance to start anew. On the other hand, I'm apprehensive about any new challenges that may be in store for me. Perhaps, it's the sign of the Universe that asks us to be in the moment and leave our baggage behind as we surge ahead. As I look back on 2016, my heart is filled with gratitude towards the five major aspects of my life that bring me so much joy. And, today seems to be an opportune day to write that gratitude list because today I complete 6 years of blogging. It seems rather strange (but true) that I've hardly celebrated this day on my blog despite this space holding a special place in my life. It makes sense to start my gratitude list with this aspect of my life. 1. Blogging and BAR: I've come a long way from my first tentative post on this space on the 24th of December 2010. Since then, my relationship with blogging has seen a lot of ups, downs, and long periods of inactivity but somehow we have survived it all. Blogging largely thrives on self-motivation and discipline but it also needs external impetus from time to time. While I struggled with the former, Bar-A-Thon in August this year provided the much need external push and with that, I seemed to regain my passion for blogging. That's when I decided to put a stamp of seriousness by purchasing a custom domain for the blog. A formal space for myself in the wide world of the web is a motivation for me to blog more and write better. That brings to the second aspect, the BAR. Before you let your imagination run wild and think of me as an alcoholic thanking my vital dose of inspiration, let me tell you this is a blogging group (although this can be fairly addictive too) I'm talking about. I re-joined BAR (Blog-a-Rhythm), a vibrant group of bloggers on Facebook after the Bar-a-thon in August this year. I was a part of the group earlier too but opted out of it because I wasn't blogging regularly at that point of time. There's a right time for everything in life. I've begun to believe in this adage more and more as I started to fit myself into a blogging/writing groove this year. So, why a group and why BAR? A blogging group can be an effective catalyst for a blogger's growth and success. As writers, it might suffice that we write to satisfy our passion but as bloggers, we love an audience.If you have been in the blogging space for a while, you would know that building a healthy readership takes a while but with the right network, one can really speed up the process. Also, the life of writers/bloggers can get lonely at times and like in any other creative field, is fraught with self-doubts, anxieties, and performance lows. We too need people who can step up and say, "hey, you know what? It's normal to feel like this. You'll be OK and we're here for you." And, while these words can come from people who are not writers, it makes a world of difference when it's your tribe that roots for you because that also makes you feel accepted and included in the league. BAR provides this and much more. It has a great mix of experienced and new writers who are excellent in their craft. The camaraderie we share is infectious and a lot of fun too. It's heartwarming to see the experienced ones readily extend their support to others. There's a wealth of knowledge shared both in terms of technical as well as blogging skills. 2. Work: I have held part-time writing jobs ever since R began playschool. I can safely attribute my work opportunities to having a blog. My first ever stint in web content writing and then later technical writing is all thanks to Aparna who was confident that I'd deliver the goods. While I was content and happy to be putting my time to good use and also earn a little (quite literally) money, I was thrilled when, towards the end of February this year, Shailaja called me to discuss the position of a writer with a popular parenting website where she's the editor. The work I do here is close to my heart and I love the work culture. We are a lean but passionate and energetic team. Each one of us strives to learn and contribute towards a collective goal. Indeed, I feel thankful to be a part of a set-up that gives me a creative free hand while gently nudging me to do better than my previous best. 3. Family: Every phone call with my Amma and sister ends on a wistful note of how much nicer it would have been if I were living closer to them! While there isn't much I can do about the geographical distance, I'm grateful for the fact that they are just a phone call and a flight's distance away. I'll always cherish the moments we spend together each year. I also ring in the New Year with my family in a spiritual manner each year since the past few years and I'm grateful to be able to continue the tradition so far. This year was special as R stayed away from us for the first time and chose to spend some extra quality time with my parents and sister. He and S always got along well and it's heartwarming to see the sibling bond grow thicker and sweeter with each passing year. I'm thankful to be married into a family who gives me a lot of space, freedom, love and takes pride in my achievements. I've to mention how the husband is the rock pillar in my life. He believes in my abilities perhaps more than I do myself. It's encouraging to have someone who doesn't tire of repeating his five-point mantra. Even as I pause and hesitate at every point, he pushes me gently ahead and reinforces my own confidence. For every doubt in my mind (and, there are always many) about whether I should take the step forward, I only have to look in his direction and the doubts are dismissed with a wave of the hand. With such a person by my side, I know that I must give myself a chance and persevere no matter what the outcome might be. 4. My readers: While 6 years is a long time to be in the blogging community, I have been slow to build a steady and strong readership base for my blog. I partly attribute it to my own nature that inhibits me from networking and publicizing this space as much I should be. Secondly, the blog world was a more private space when I began, so I'm still coming to terms with the current trend and hope to adapt myself better with time. Having said that, I was pleasantly surprised to discover that so many people from my circle read my blog. I recently nominated myself for the Orange Flower Awards initiated by Women's Web. The final nominees and winners for the various categories are to be partly decided by a set of esteemed jury members and partly through popular voting. I announced my nominations and called out to my readers on my Facebook page to vote for me tentatively without any expectation. It was then I realized how much I had undermined my own writing and this space. I was overwhelmed with the number of friends, family, and even distant acquaintances who reached out to say that they read my blog and voted for me. Some even went as far as trying multiple times to vote since the voting site underwent technical glitches and couldn't register their votes. I extend my warm and humble thanks to each one of you. You perhaps silently follow my blog but you all mean a whole lot to me because I know whatever I write holds more meaning now. 5. A social community: However much I spend time online, I need my offline social engagement too. The apartment where I stay is a fairly new one and it has taken a while for all of us to mingle and come together as a single unit. This year was particularly a memorable one as we celebrated every festival with gusto and enthusiasm. As someone who takes a while to make new friends, I was glad to find like-minded company. Together, we let our hair down during the various celebrations. These are memorable memories for me. It's been a pleasure to fill out this post of gratitude and I hope the New Year ushers in peace and happiness for all of us. And, if you've been reading this far, a big thank you! See you all in 2017. Uma..wish you too a very happy New Year..and keep blogging as and when you can. Thank you, Lata. Wish you too a great 2017. Happy Blog anniversary Uma, wishing many more wonderful posts from you in the years to come. 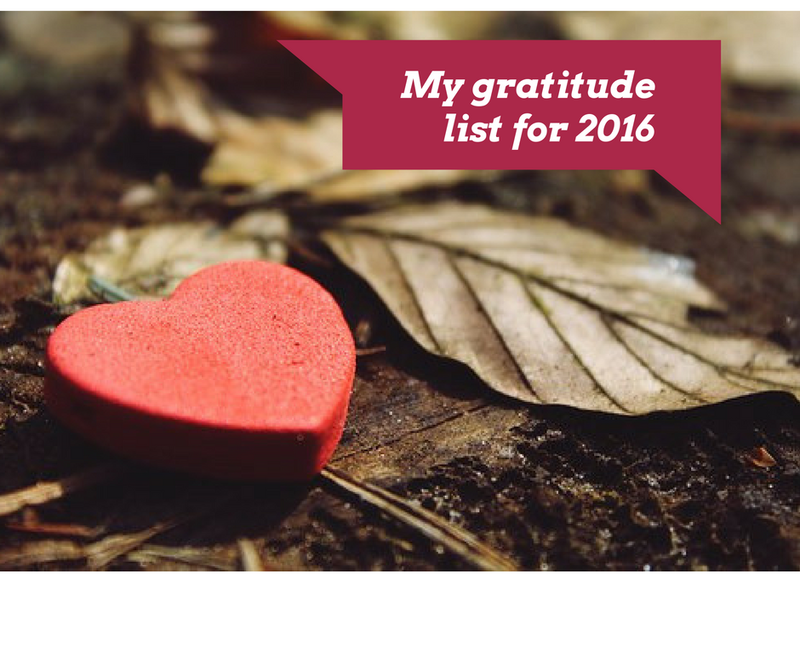 Loved your gratitude list and knowing how the people in your life have made 2016 such a beautiful year for you. Thanks a lot, ME. It's encouraging to see comments like this :-) Wishing you too a lovely year ahead! What a beautiful year, Uma! Hugs and wishing you a fab 2017 that's even better than 2016. And looking forward to meeting more often...besides that Skype kaapi! Thank you so much, Vidya. Yes, surely, hoping to meet more often for some real as well as online kaapi sessions. It seems that 2017 was a year when you came into your own. Wish you many more achievements in 2017. A wonderful year that went past! Wow six years of blogging!! That is indeed a big milestone. Congrats on taking the big leap to move to your blog space. Hope 2017 sees many more milestones for you and your lovely blog. I am glad to be connected to you through BAR! Hope to read a lot more of your splendid writing in times to come. I'm glad to have come across your blog too, Kala. Makes me happy that you think so. Here's to a lovely blogging time together! Hope 2017 is a Fabulous Year for you! I love reading your posts even though I may not be very regular anymore. Congratulations on completing 6 years of blogging! First of all, congratulations on your milestone, Uma. Six years is a wonderful time period to have had spent in the company of your blog. I am sad that I joined you just recently. Your gratitude post warmed me up and my mind wandered to the various aspects of my life that I am grateful for. Wishing you a fabulous 2017 too, Uma! Maliny, that' such a sweet thing to say. I'm so glad that you decided to join me in my journey. Equally happy to have met you. Wishing you too a wonderful 2017. I love the new look of the blog and congratulations for this new move. I'm so happy to see you grow professionally and personally. May 2017 bring many more wonderful moments for you to cherish. Best wishes Uma. Thanks a lot, Gayu. Wishing you too a fabulous 2017! 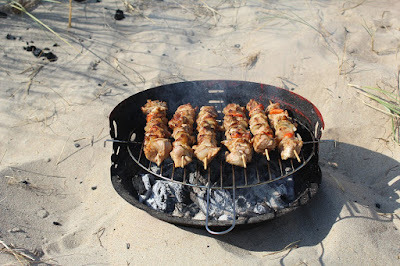 Hey Uma, Its my first time here on your Blog. and I am loving it. You weave the word so beautifully that I am reading some kind of story. Happy to connect and big congratulations completing 6 years. You will find me around now. It feels amazing to have a supporting family and spouse :) So many wonderful things to be grateful about :) I wish the coming year brings as much happiness. A lovely year end post and congrats on 6 years. Wow! Wish you many more decades of successful writing and blogging. Family is such a big support and I feel that we should take them for granted. These set of people tend to be ignored the most. Isn't it? Wishing you a great 2017, Uma. I have loved reading you and I look forward to 2017 on this space. 2016 was a great year, I'd say! Happy Blog Anniversary! Yes, BAR & Shailaja are both so special, aren't they! Thank you so much, Mayuri. Wishing you the same!